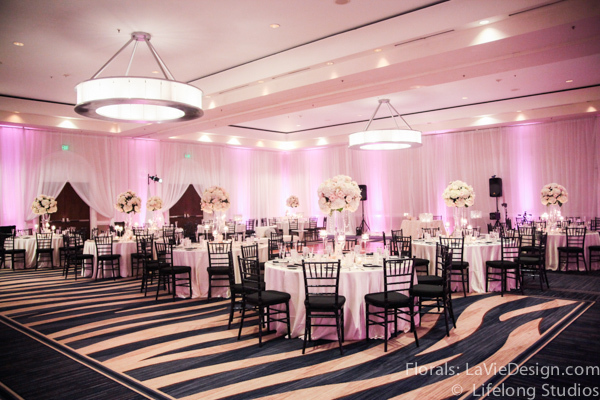 Jeannine and Carlos’ Wedding at the InterContinental Hotel in Tampa is stylish and sophisticated. 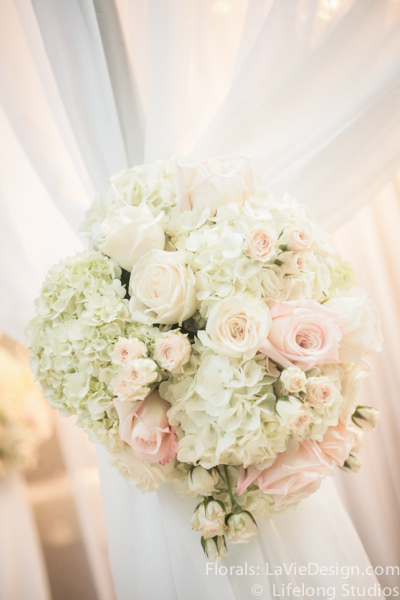 We kept the wedding florals white with Peonies, Roses, and Hydrangeas to keep with the classic romantic feel. 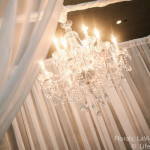 Our draped chuppah with a spectacular crystal chandelier was the backdrop for the couple’s “I dos”. 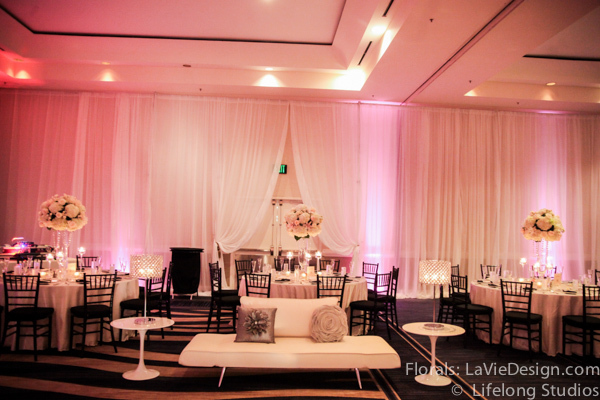 We also provided custom linens, chargers, lounge furniture and, of course, the florals. 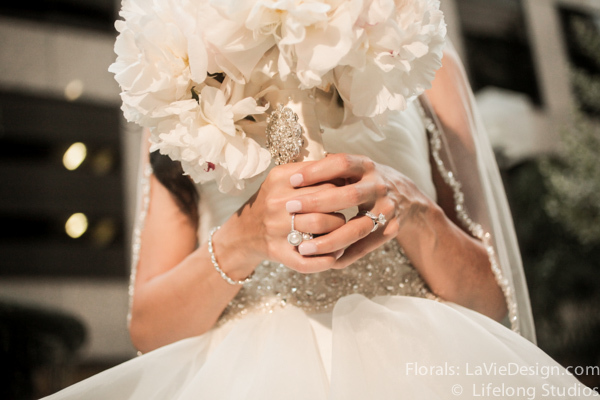 A special thanks to Lifelong Studios for capturing the couple’s big day. 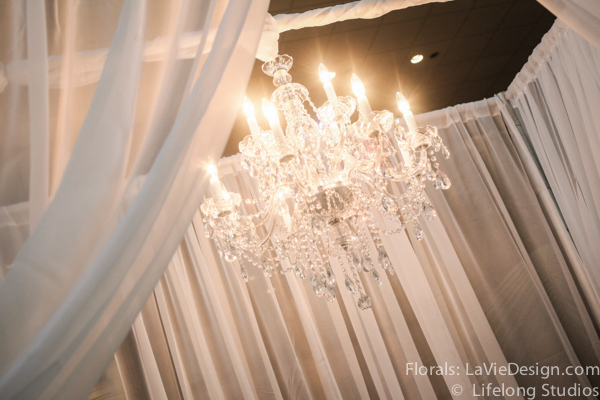 Our chuppah with crystal chandelier. 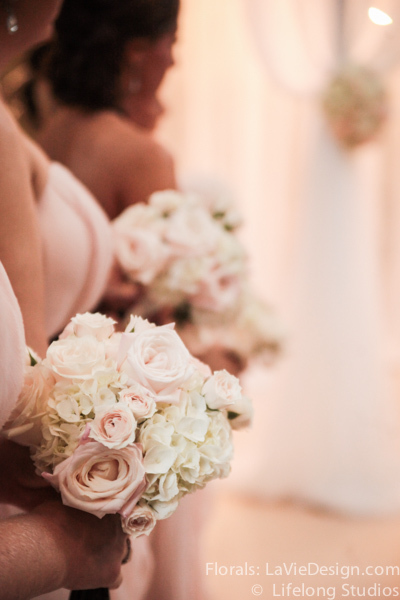 Capturing the soft blush and ivory colors for a cohesive look in all of the bouquets. 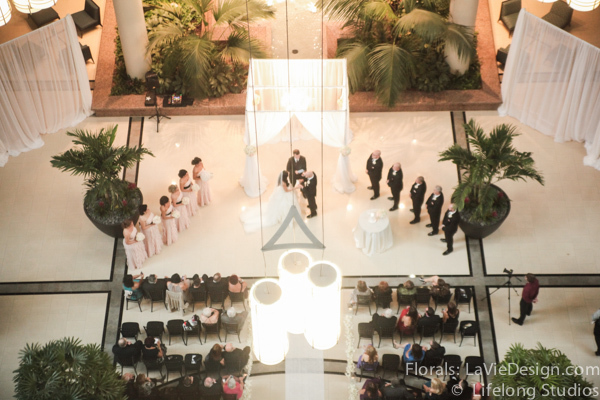 The crystal chandelier was the focal point of the ceremony. 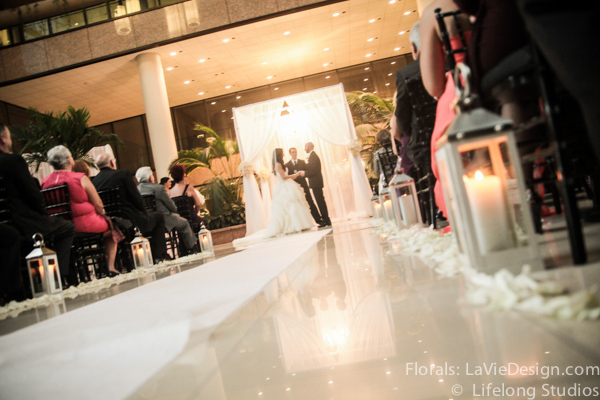 To soften the overall look we added delicate details like flowers to the chuppah. A small floral arrangement is a nice way to tie in the memorial table to the rest of the wedding. 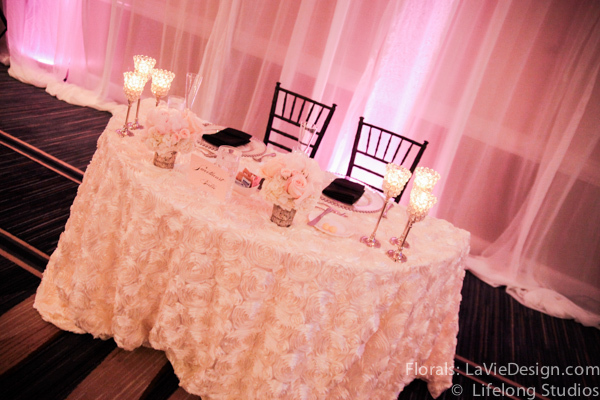 These glamorous guest tables were adorned with soaring centerpieces containing crystals and candles. 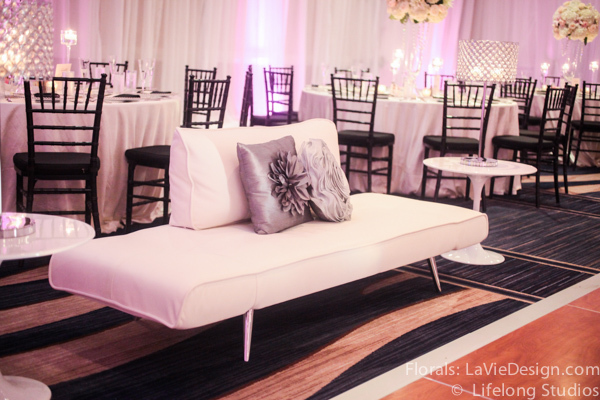 Our white lounge furniture with silver throw pillows allowed guests to take a break without leaving the dance floor. 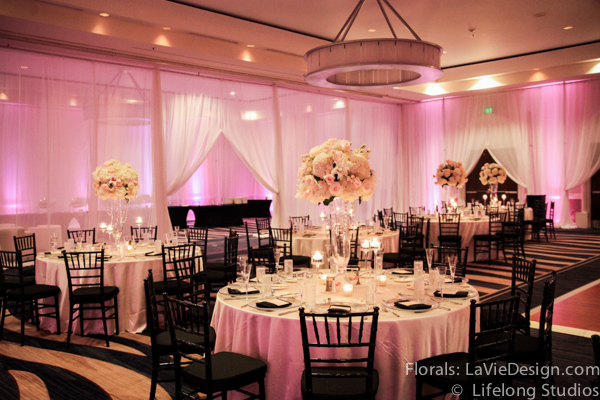 Our glass centerpieces held large arrangements of Roses and Hydrangea while the light danced off our crystal strands. 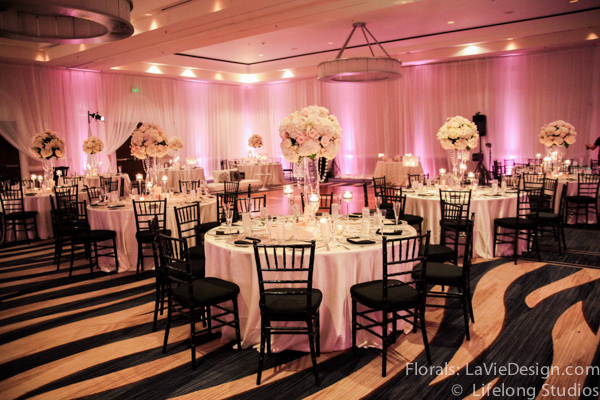 Our crystal lamps added a romantic glow to the room. 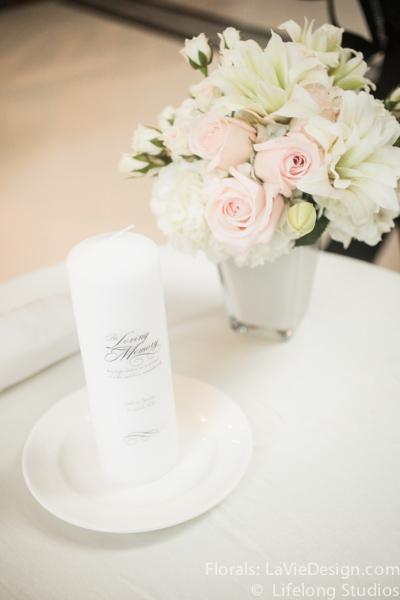 Our custom rosette linen was a special touch that the bride loved. 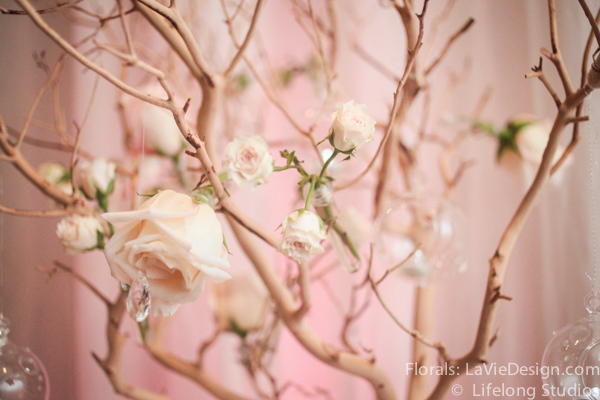 Roses of different sizes adorned our manzanita centerpiece.